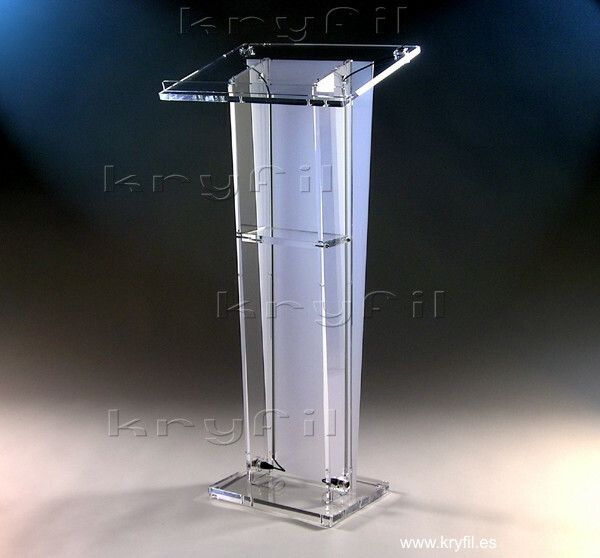 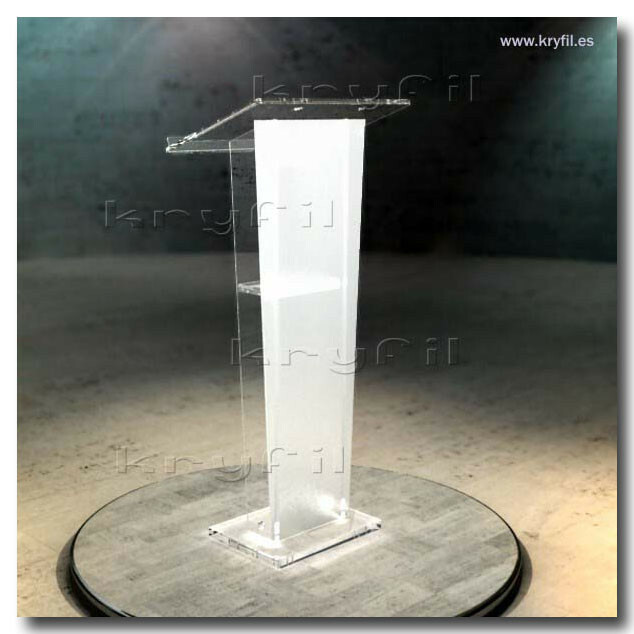 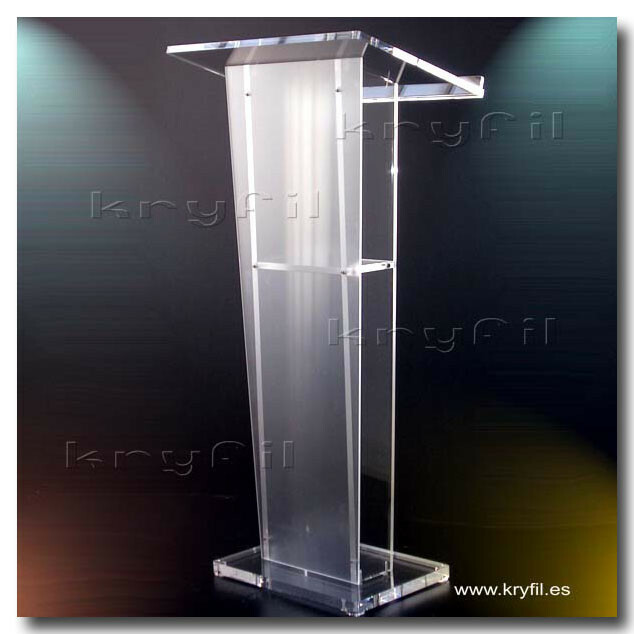 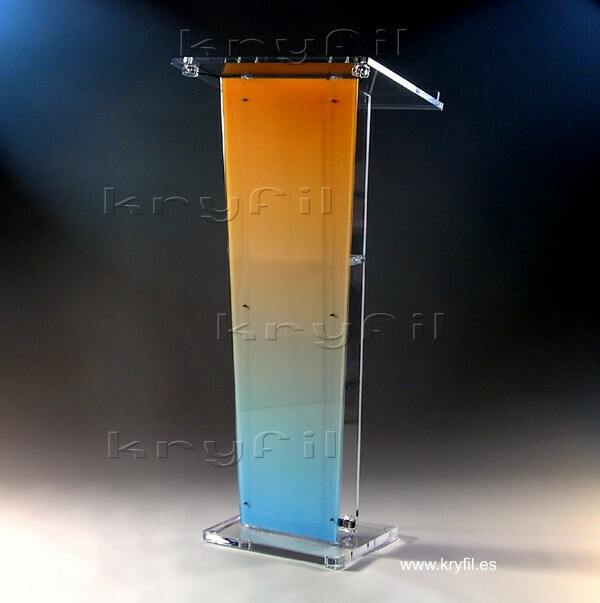 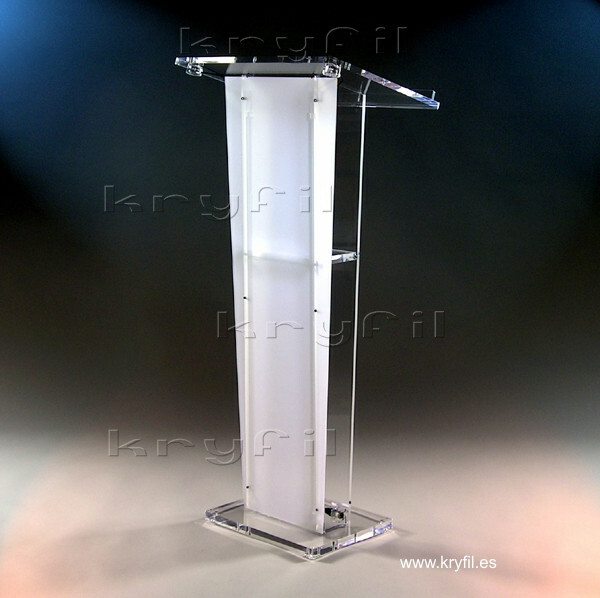 Acrylic lectern designed with classic straight lines, strong and elegant. 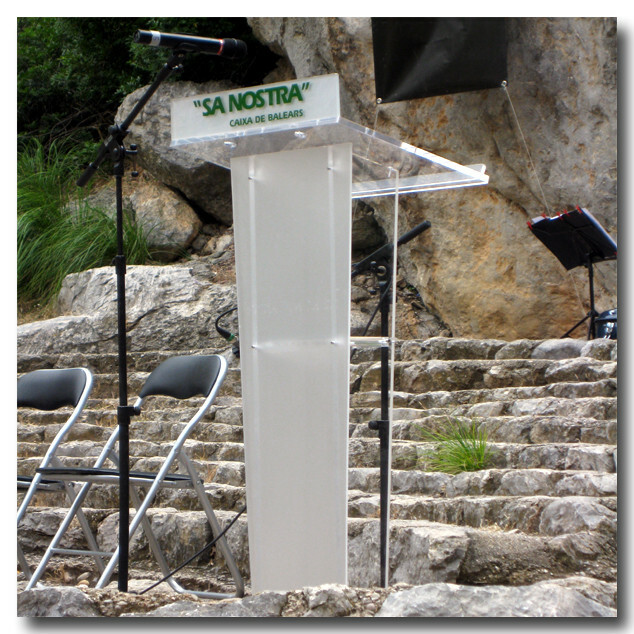 This podium blends well in any environment: conference halls, colleges and universities, events, presentations of any kind, hotel lobbies and restaurants. 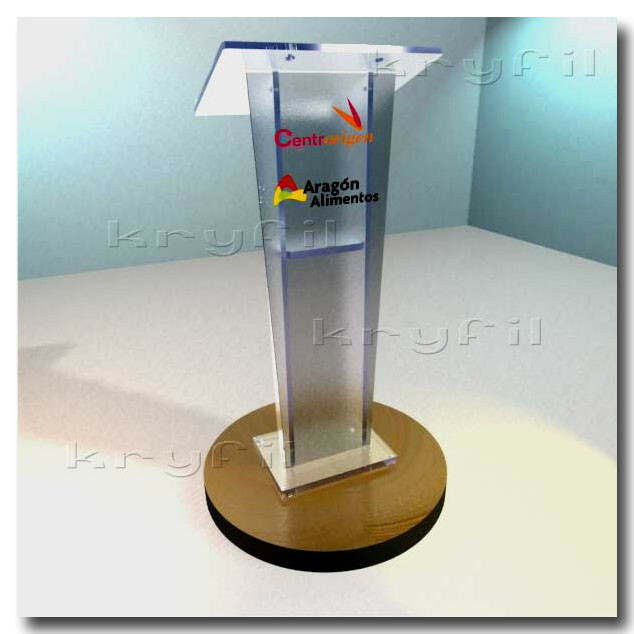 It can add style to any room. 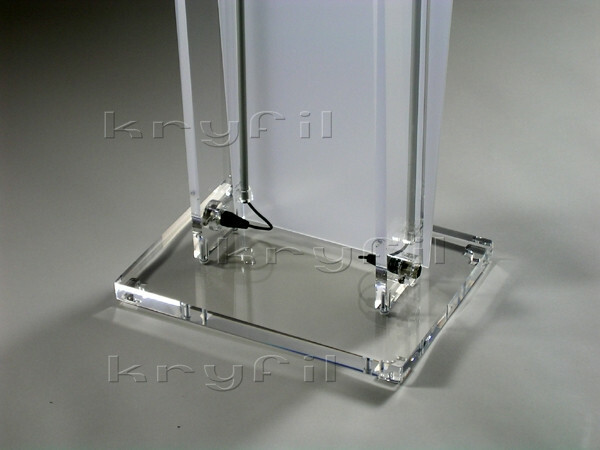 This material blends well in modern and also traditional interiors and is also perfect for exterior use. 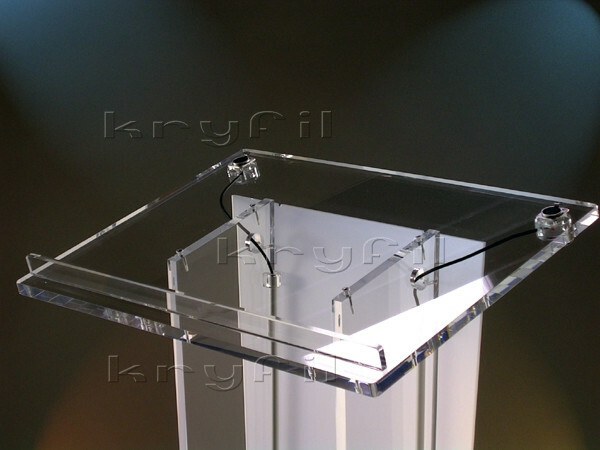 This lectern is a very functional model due to its ability to be equipped with all the extras needed.